Joanne made the Pistachio Dessert for Melissa's 43rd birthday. This was the last birthday dessert that they shared together. 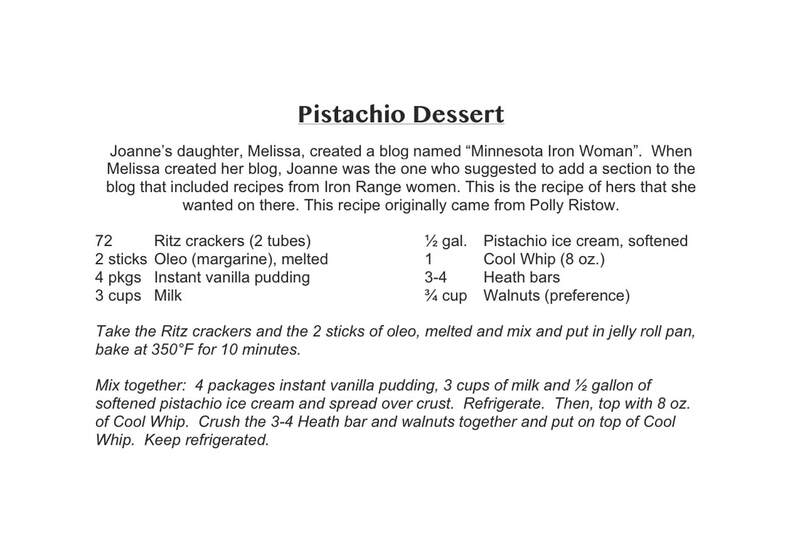 It is Melissa (and Lori Stavnes') favorite dessert that Joanne made!